"People like Pasteur and Salk are leaders in the first sense. People like Gandhi and Confucius, on one hand, and Alexander, Caesar and Hitler on the other, are leaders in the second and perhaps the third sense. Jesus and Buddha belong in the third category alone. 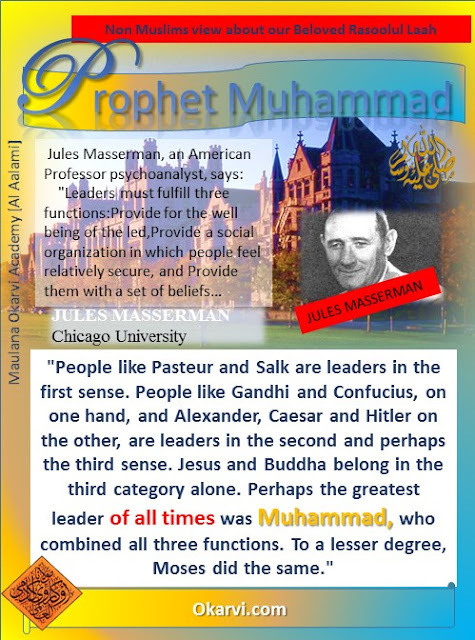 Perhaps the greatest leader of all times was Muhammad, who combined all three functions. To a lesser degree, Moses did the same." 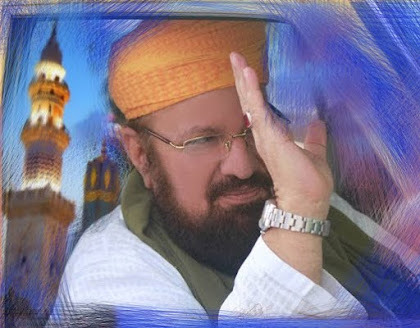 "Perhaps the greatest leader of all times was Muhammad, who combined all the three functions. To a lesser degree Moses did the same." (Jules Masserman, 'Who Were Histories Great Leaders? ', TIME Magazine, July 15, 1974).